It’s a package deal. We build features into our 2001CS Contractor’s Special that sets it apart from other hot/cold water extractors on the market. Powerful – With a 120 PSI diaphragm pump, three-stage vacuum motor, 100 CFM and 137” H20. Heated – Features a 1200-watt in-line heater with maximum 210˚ temperature. 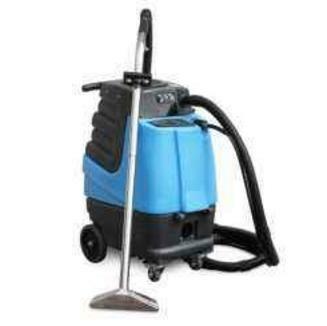 Efficient – Produces hot water that quickly breaks up grease and dirt. User-friendly – With high-waist switches, easy-open lid, bucket-high drain and non-marking wheels. Durable – With a tough roto-molded polyethylene housing that resists rusting and denting. Customer Service Covered – Mytee® always offers a limited lifetime warranty and national network of service centers. So get the package that gives you everything you need to take on the toughest carpet and upholstery cleaning jobs.